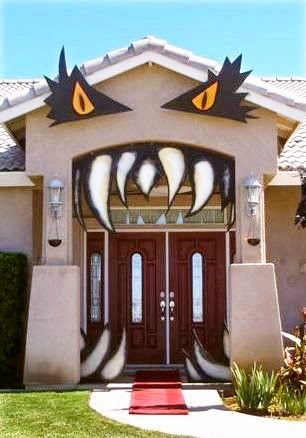 While adding some pins to my Halloween Pinterest board, I stumbled across this image of a fun monster house Halloween decoration. I don't have windows over my archway, although now I wish I did, but I can pull off this version of the monster house from Nifty Thrifty Thriving . 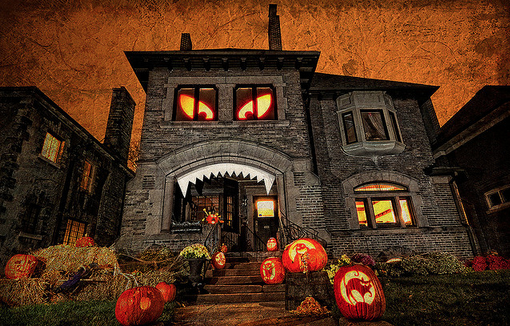 If you are looking for a scarier version, check out Bob Ochoa's monster house that he shared over at Hotwire Foam Factory. 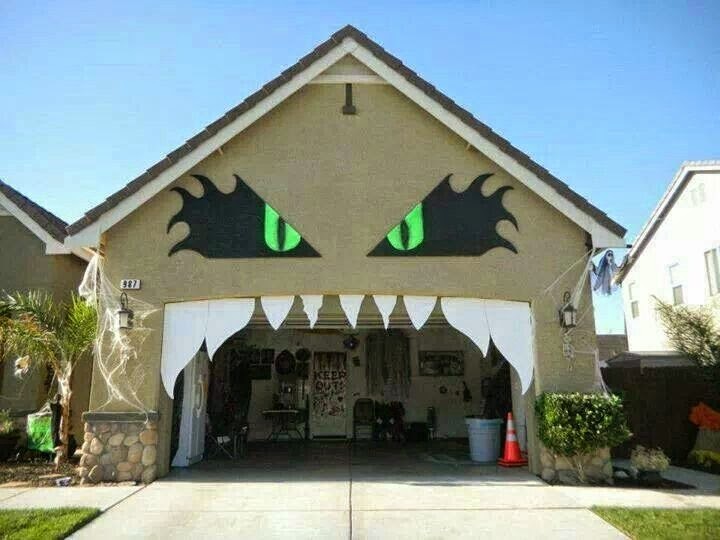 And if this idea doesn't work for your front door, you can always modify it and make a monster garage.